The top of Ashburner Road has been closed off to traffic and this gateway has been placed here. 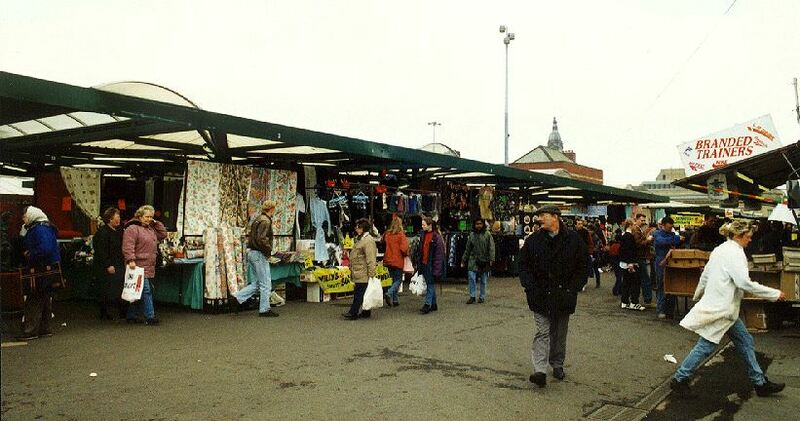 This is a recently pedestrianised area, with new market canopies erected for the outdoor market, and a refurbished market hall. The fish, fruit and vegetable market have been refurbished. There is a large plant and flower section to the outdoor market. 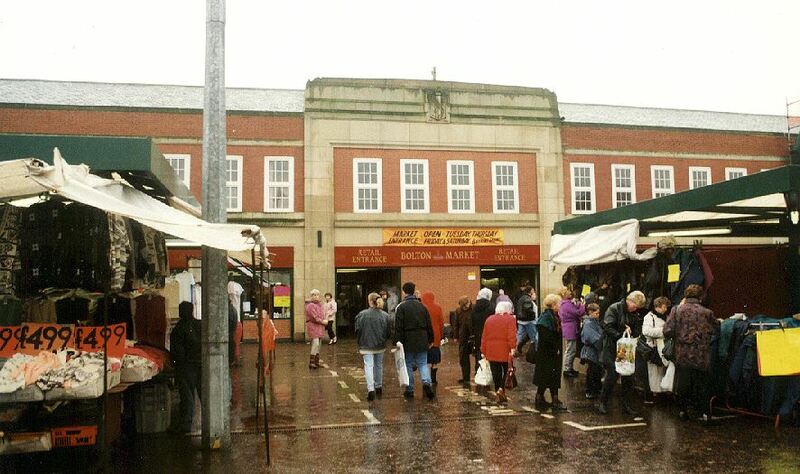 You can clearly see the purpose built canopies, and the line of the market hall on the far right of this picture. 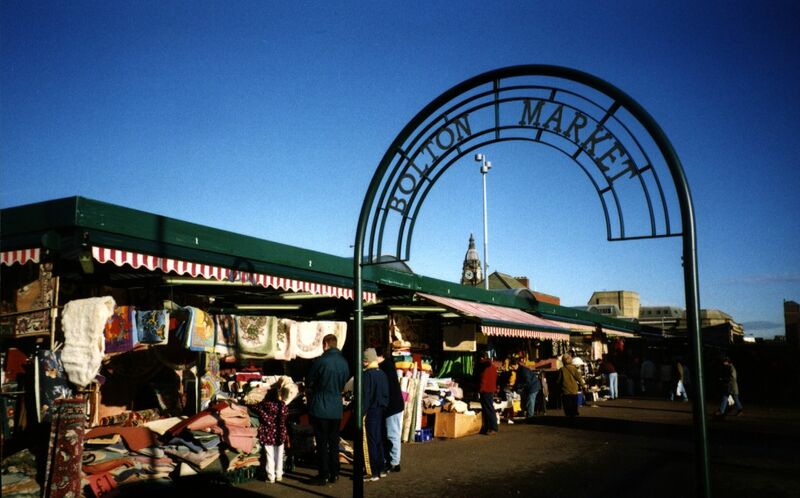 Moor Lane will take you to either Derby Street and Bolton Institute. 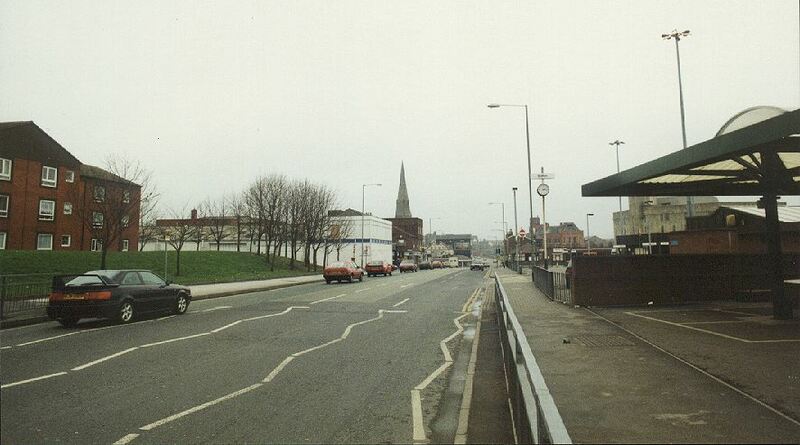 Moor Lane will take you to the end of Deansgate. From here you can go into the crescent or down Newport Arcade. 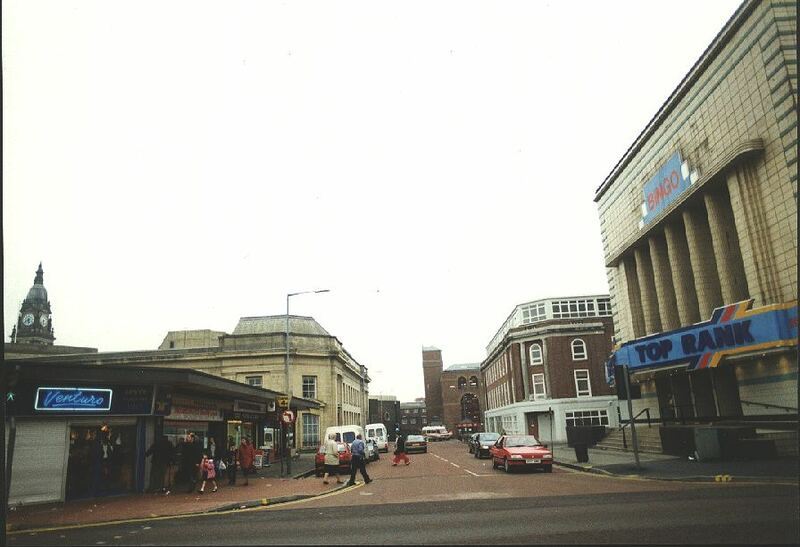 On the left past the row of shops is the library and museum, on the right is the former Odeon Cinema, now a bingo hall. This cinema is an example of Art Deco style. 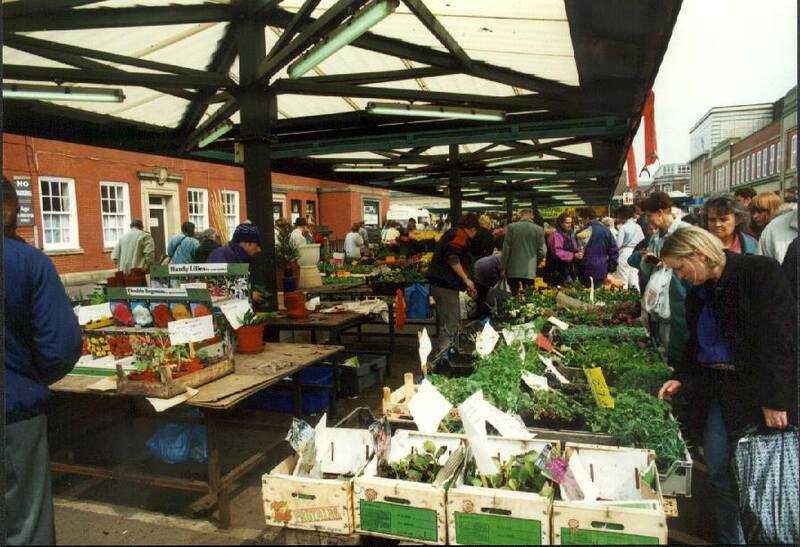 Go onto Great Moor Street which can take you to the Waterplace, onto Newport Street, or down towards Bradshawgate. 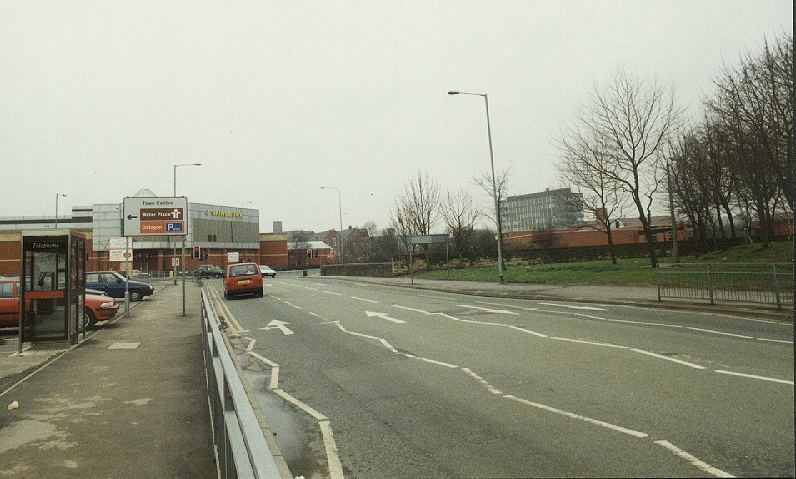 You may also go onto Blackhorse Street down to Deansgate.